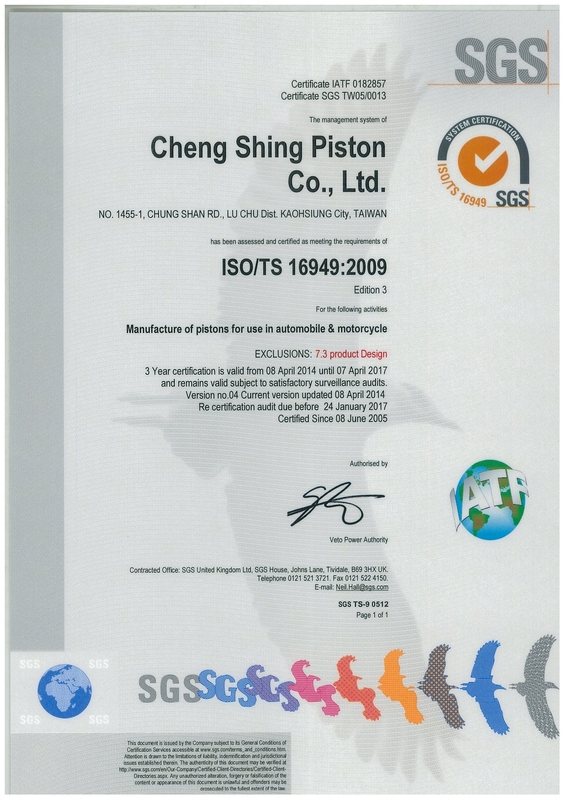 Cheng Shing Piston Co., Ltd was established in 1973 for the purpose of providing best service and high quality combustion engine piston for OEM and aftermarket. Our management philosophy is "continuous improvements to acvieve excellent quality and permanent development to complete corporate social responsibility. Today, Cheng Shing Piston is widely recognized and respected in the industry, a reliable source of good quality pistons in Taiwan and overseas markets, our complete range covers Japanese, European & American petrol & diesel engines with over 5,000 part numbers. To maintain our position as a leader in the market, Cheng Shing Piston is continuously investing effort and funds in developing our range, precise equipments and new technology to ensure our commitment to customers "high quality, competitive pricing and prompt delivery".